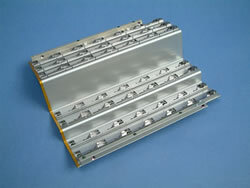 Production: Fabricated from electronic drawings to very tight tolerances, Height tolerance in the minus of zero and in the plus of 0.2mm. 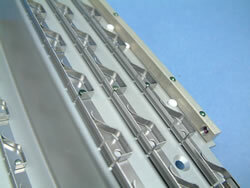 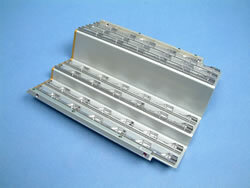 Component was CNC punched and formed using Easyform laser technology. 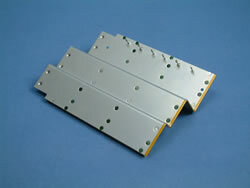 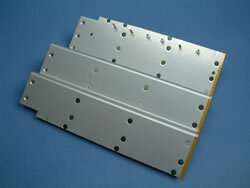 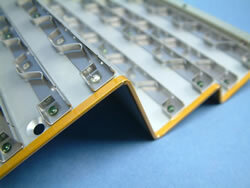 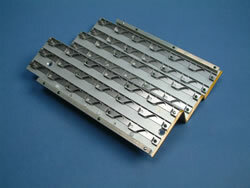 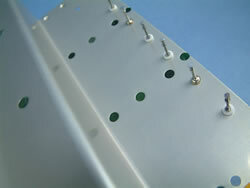 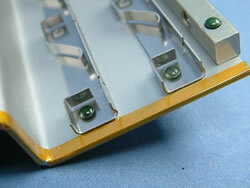 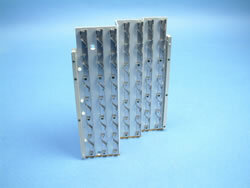 PCB spring bar card guides are rivited manually. 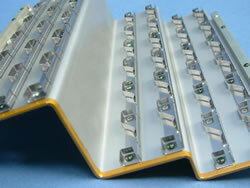 Assembly includes push fit electrinic terminals and a strip of insulation tape along the edge. 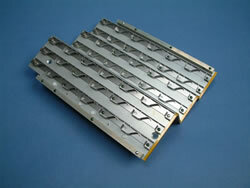 Aluminium square bars were subcontracted and fixed by JC Engineering. 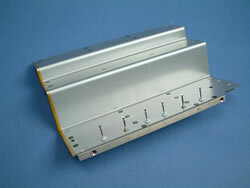 Complete kit included several offer significant components as well as screws, washers and spacers all indivisually packed and supplied as a complete kit for kanban line side supply.